Flying is often the quickest and most convenient way to get around Indonesia and with 61 international and domestic airports serving all major cities the country is well serviced by many air carriers. A number of international airlines fly to Indonesia’s main international airports in Jakarta, Denpasar, and Medan. Jakarta is serviced by the Soekarno-Hatta Airport situated 20 kilometres northwest of the city. The Soekarno-Hatta international airport is the hub of Indonesia’s huge aviation network and hosts a numbers of international and domestic airlines including Indonesia’s own Garuda Indonesia, Cathay Pacific, China Airlines, EVA Air, Japan Airlines, Singapore Airlines, Malaysia Airlines, Qantas, Royal Brunei, and Thai International, KLM and Lufthansa. 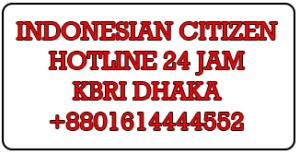 Other domestic airlines flying from and to Indonesia’s capital city include Lion Air, Mandala Airlines, Merpati Nusantara, Sriwijaya Air, and Indonesia Air Asia and other Low Cost Carriers (LCCs). The other major international airport of Indonesia is the Ngurah Rai Airport in Bali, situated 15km from the main town of Denpasar that serves flights direct from Australia, Asia and Europe. A number of international airlines also fly direct to Medan, Padang, Bandung, Surabaya, Solo, and Manado from Singapore or Kuala Lumpur. Garuda Indonesia, Indonesia’s prime national airline provides flights to the country from 24 international destinations including Bangkok, Beijing, Hong Kong, Ho Chi Minh City, Kuala Lumpur, Seoul, Sydney, Melbourne, Jeddah, Singapore, Shanghai, Guangzhou (Canton), Tokyo, Nagoya, Osaka, Dubai and Amsterdam. Over the next four years Garuda intends to expand its network in Europe to include destinations such as Frankfurt, London, Paris and Rome. Air Asia; Cathay Pacific; Emirates; Etihad; Kuwait Airways; SilkAir; Tiger Airways; Transaero Airlines; Valuair; Thai Air; China Southern Airlines; Korean Air; and many more. With so many airlines flying to Indonesia, it’s worth your while to shop around for the best price for your flight.